I’ve been a software engineer my whole life. I got a degree in business and co-founded a small successful software company. I dreamed up the ShelfPack while I was on a long business trip, digging through my luggage day after day. I envisioned shelves to make the contents of my luggage easier to see and more accessible. The idea really intrigued me and at home I started tinkering with it, dismantling old luggage for parts and even sewing shelves myself. I experimented with multiple variations and took the prototypes I made on business and family trips. I lent them to friends for their trips and my wife traveled through Europe with it. The idea evolved and improved. With encouragement from friends and family, I found someone to make them for me, a well-established luggage source that has built products for many major brands. 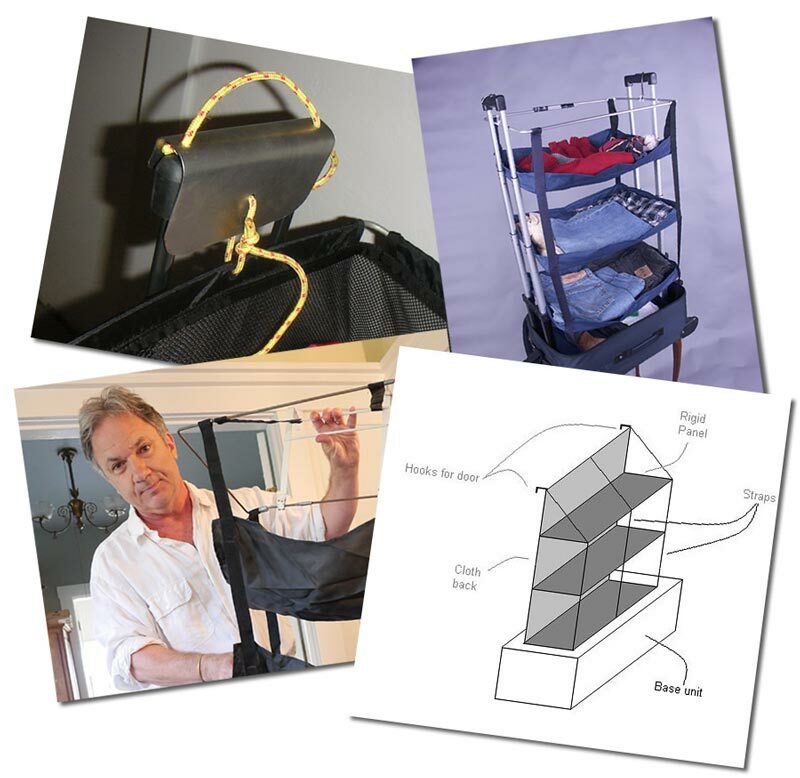 I got a small booth at the 2015 International Travel Goods Show in Las Vegas and unveiled the ShelfPack. It created quite a stir. The show had hundreds of booths, all the major brands, and thousands of products. 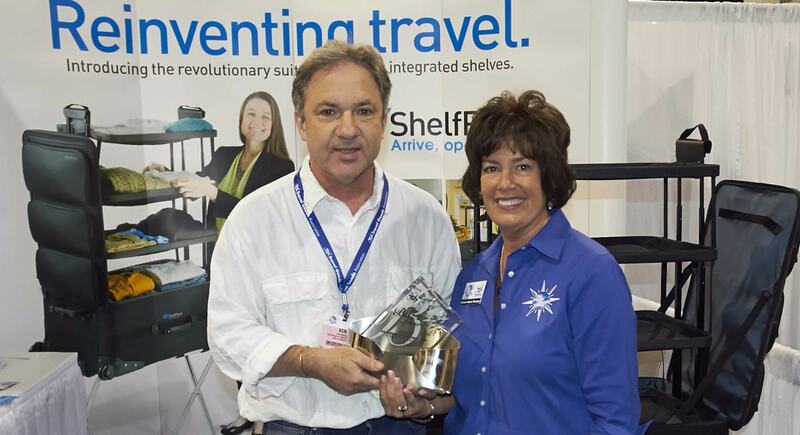 I was thrilled when the ShelfPack won the ‘Buzz’ award for the best new product of the year. Since then, there has been national press coverage from Travel + Leisure, Yahoo! Travel, the Travel Channel, CNBC and more. Distributors, catalogs and stores are lining up to carry it. There hasn’t been a major innovation in luggage since rolling luggage came along in the 1980’s. 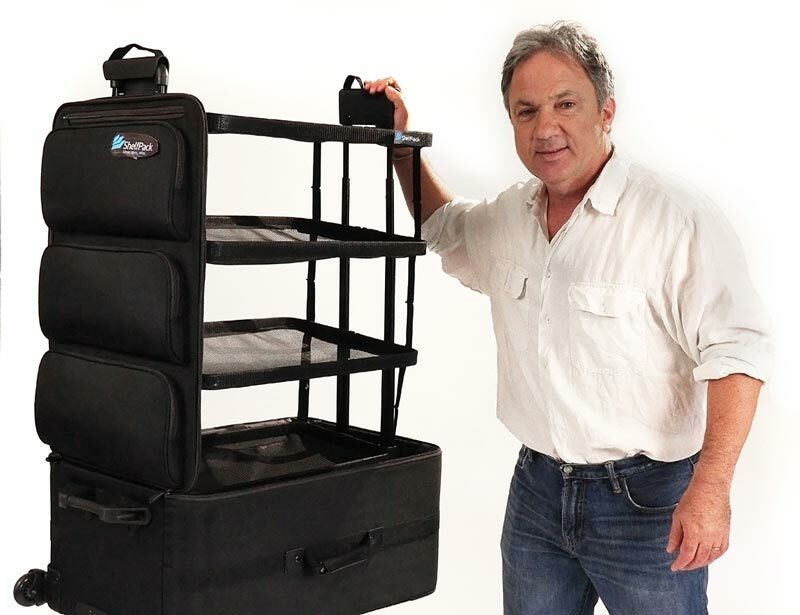 Be among the first to own the ShelfPack: Luggage with Collapsible Shelves.